Noble Mineral Exploration Inc. (TSX-V:NOB; FWB:NB7; OTC.PK:NLPXF) is a Canada-based explorer owning 100% of >79,000 hectares (>195,000 acres) of mineral rights (nickel-cobalt VMS & gold targets) covering parts or all of 17 townships immediately north and west of the Kidd Creek Mine Complex near Timmins, Ontario. The company's flagship Project 81 is just 30 kilometers (30 km) north of Timmins, a camp that's produced >75 million ounces (75 Moz) of gold. The Kidd Mine has produced >150 million tonnes of high-grade ore. This is Canada's most prolific mining district. Infrastructure is world-class, from labor, mining services and equipment, to roads, highway, rail and an airport, to power and water. It's all there in abundance. And, importantly, memoranda of understanding have been signed with the First Nations. Close proximity to Kidd Creek is much more than a bragging right, or a "closeology" bullet point. The mill has excess capacity available for toll milling nearby ore. The entire Project 81 property is within trucking distance on Highway 655 to the Kidd Creek Mill. Imagine the tremendous savings in time and money if property owners on Project 81 did not have to design, permit, fund, construct and operate a mill & tailings facility. Noble plans to initiate six or more additional joint venture (JV) exploration programs this year with suitable strategic partners. In these deals, Noble is free-carried for a number years and retains a significant minority interest, (typically 25%) in the property if the partner executes on its side of the agreement�otherwise 100% interest in the property reverts back to Noble. Partners pay Noble a combination of cash, shares and warrants, and have meaningful annual work commitments to earn into select areas ofProject 81. Each option or JV agreement signed derisks Noble's giant land package as it begins to operate like a project generator. It all started with Abitibi-Bowater's receivership in 2010-11. Noble's vice president of exploration was lucky enough to locate a box of documents at the Ministry of Mining. The box contained info about a property he was trying to track down. In that box he found evidence of a ~1,300-foot intercept of ~0.30% nickel. Several months later, Noble owned Project 81,having acquired it from Abitibi's post-receivership successor company. A very wide intercept like that, of low-grade Ni, instantly reminded CEO Vance White of Royal Nickel Corp.'s (RNX:TSX) Dumont mine, which hosts ~2 billion pounds (lbs) of 0.26-0.27% Ni and low-grade cobalt, and of Glencore International Plc's (GLEN:LSE) Kidd Creek Mine, which is just 3 km south of Project 81. The Kidd Creek discovery hole in 1963 was 629 feet averaging 1.18% copper, 8.1% zinc and 3.8 troy ounces/ton silver. Project 81 is in a great neighborhood. 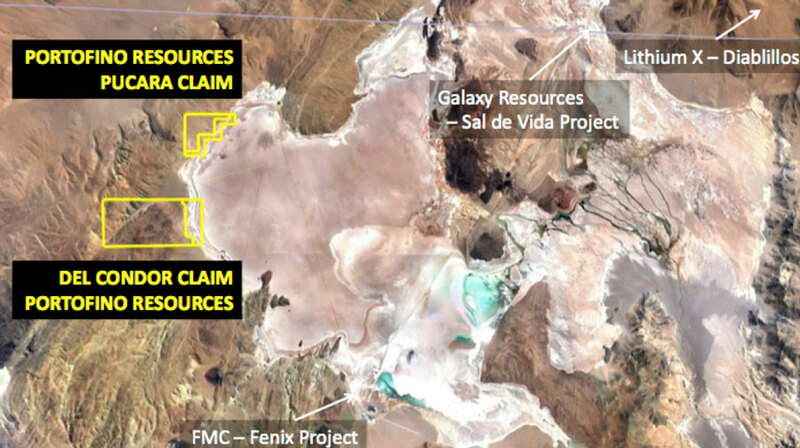 Mr. White believes Noble might potentially have a 1.0- to 1.5-billion-tonne deposit of similarly low-grade nickel and cobalt mineralization in the Kingsmill portion of Project 81. (Note: This is a conceptual exploration target only, it is not NI-43-101-compliant.) The area he has in mind represents a small portion of the entire 79,000+ hectares. Why Does This Massive Opportunity (Project 81) Still Exist? Noble controls one of Canada's largest underexplored land packages. Giant deposits like Kidd Creek are frequently surrounded by clusters of satellite deposits of roughly 30-50 million tonnes, often found within 15-30 km of a mega deposit. There has been some historical exploration done on parts of Project 81 in the 1960s, 1970s and 1980s, but it's still largely underexpolored (see map below), ripe for new discoveries. It wasn't actively explored because it was mostly held for its timber and forestry rights. Further, exploration done decades ago was ineffective due to the property being completely covered by overburden. 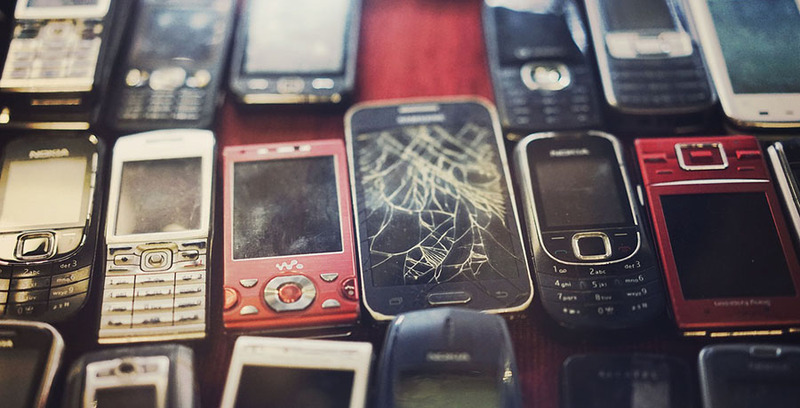 However, technology has changed a lot in 50 years. . .and it has improved substantially in the past 10 years. Geoscience, gravity surveys, modern airborne geophysics and gravity gradiometer surveys, etc., can cover the project. Noble, its partners and consultants are using state-of-the-art, cutting-edge technologies including artificial intelligence. CEO Vance White commented on the work that's been done: "In late 2017 we partnered with Orix Geoscience Inc. to compile a complete and very extensive data compilation for Project 81. Orix is a team of geosciencetists who partner with junior exploration companies and specializes in compiling, interpreting and modeling large data sets, such as with Project 81. In December of 2018, Orix provided us with a new Digital Data Network Organization, compiled a complete Drill-hole Database by consolidating and standardizing all historical drill hole data into a well organized database, and finalized all Legends by lithology, alteration, structure, textures, mineralization and assay results." "The compilation included all recent Heliborne EM/Mag & Gravity Gradiometer surveys and the artificial intelligence survey over Carnegie & Crawford Townships, as well as all data available over the balance of the project area. Orix also provided us with the capability to provide to our partners a full range of additional geological services. The importance of this compilation is that we now have (since December) detailed data for drill-ready targets that can be shared with our partners where the foundation work has already been done to make specific target identification decisions." This is why Noble is such an exciting opportunity for 2019. There will be a number of drill programs starting this year, and ongoing for years to come, spread across the entire project. 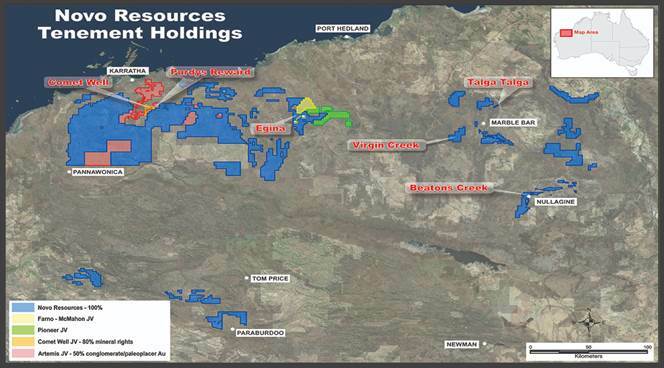 Next year alone there could be CA$6M��$8M of exploration invested into Project 81. 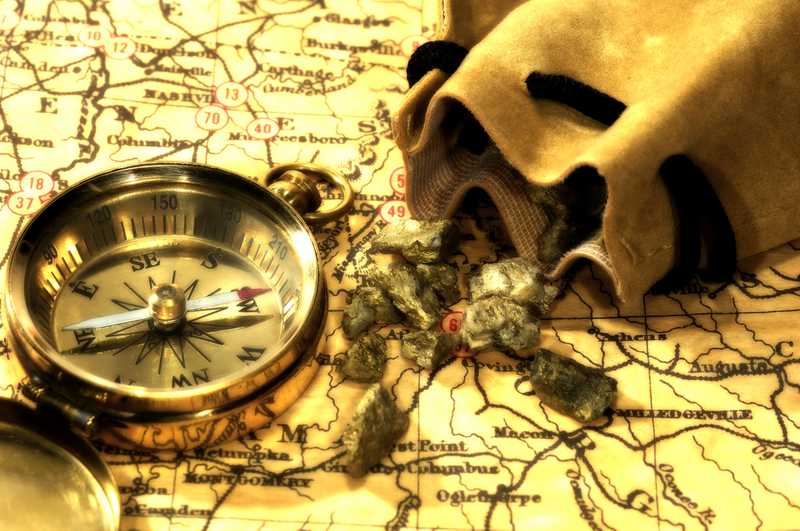 Discoveries would be great news for Noble andthe discovering partner. Noble would own shares and warrants in that partner, plus an ongoing interest in the property. Noble will have 10 or fewer carefully chosen partners on the 79,000+-hectare land package. And the contiguous land is homogeneous, which is really good if there are multiple zones of mineralization as management believes. Given the work done by Noble, its partners and consultants since picking up Project 81in 2011, there's ample evidence of mineralization and hundreds of drill-ready targets. As mentioned, a good discovery hole could move the needle for Noble and the discovering partner. In addition, a good hole could also move the needles of other partners in Project 81 (Noble would own shares and warrants in those companies, plus meaningful property interests). A really good hole? Everyone will want into Project 81, and Noble Mineral Exploration could become a takeout target. 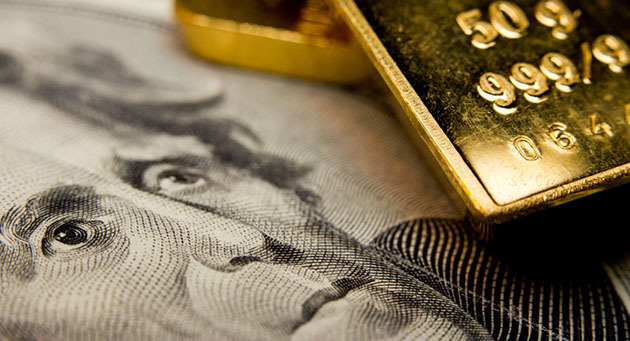 As management prudently options/joint ventures properties, its cash burn will decline. That means the company's need to go back to the capital markets will diminish. Noble recently raised CA$1M; they probably won't need to raise much additional capital this year. Low cash burn is a favorable hallmark of the project generator model. Regarding drilling on Project 81, there are two groups that have partnered with Noble. One of them, Spruce Ridge Resources Ltd. (SHL:TSX.V), has completed a 2,000-meter (2,000m) diamond drill program on the Crawford Township property it optioned.Spruce Ridge was pursuing a low-grade nickel target (possibly with some cobalt) with a phase 1 drill program. 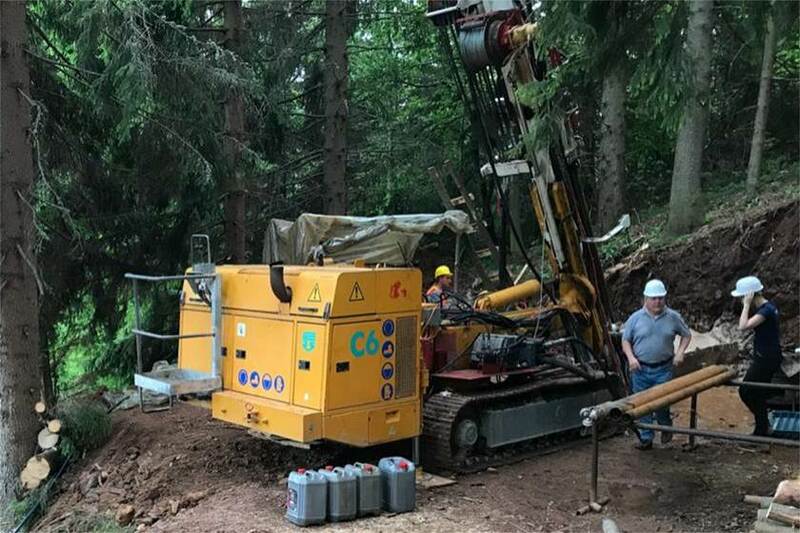 The first of four drill holes was planned to be 600m deep and was meant to test the strongest portion of a 3,000m-long magnetic anomaly, also confirmed by the artificial intelligence analysis carried out by Albert Mining Inc. (AIIM:TSX.V). Drill results are expected in the next few weeks. Very wide intercepts of nickel grading 0.25% or higher would be a big win for Spruce Ridge as it would confirm historical assays and start to hint at the potential size of the ore body. Post a potential discovery, the value of Noble's shares and warrants plus 25% interest (Spruce would earn into a 75% interest) would be significantly higher at ~CA$5.0M. Although Noble's interest in the project would be cut from 49% to 25%, the value of the project would be much greater. And, Spruce's 75% interest in Crawford would represent a larger portion of its market cap. Spruce's share price would presumably be higher, and Noble would own 8,000,000 shares, up from 6,000,000. Finally, Noble will own 10,000,000 warrants that would likely be in the money (see chart above). Commenting on the Crawford Township opportunity, CEO John Ryan of Spruce Ridge said, "What drew Spruce to this property was that it was underexplored, close to the Kidd Creek mine and had several priority targets from a recently flown EM/Mag survey. What made this acquisition even more appealing was the historical drill results from INCO showing the potential of a large tonnage low-grade nickel deposit. The nickel grades at Crawford are very close to those at RNC's Dumont project in Quebec, with some intervals assaying up to 0.42% Ni, and we believe that there was never any analysis carried out for cobalt. . ."
As mentioned, there are dozens if not hundreds of drill-ready targets all over Project 81. 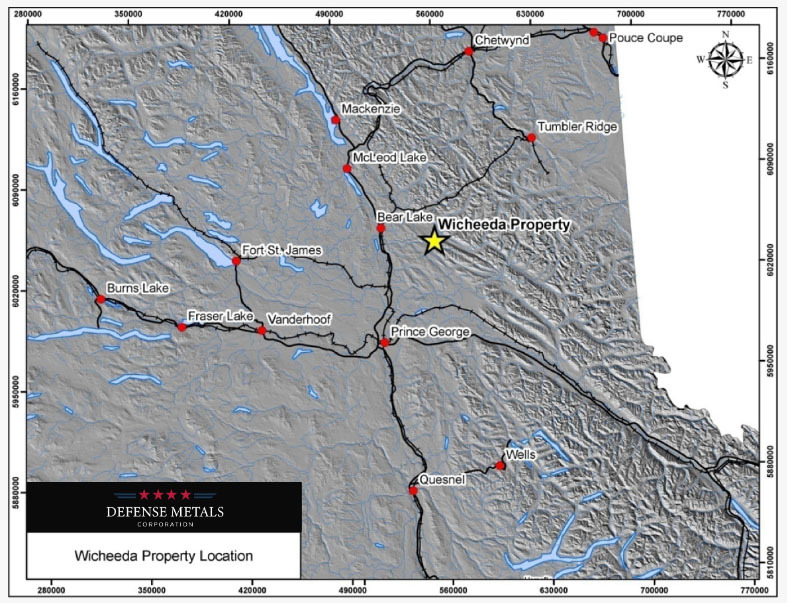 As a quick example, consider the Lucas Gold property, according to Noble's geologist, Randy Singh: "The Lucas Gold Target is a known historical gold deposit that has been traced for ~650 m out of a 1,700m geophysical identified structure (EM & IP) with at least six untested parallel structures totaling ~4,700m of potential strike length. Mineralized widths vary from 25m to over 100m and have multiple limbs. The deposit exhibits the classic Timmins Camp-types of alteration in close proximity to the gold mineralization." Later this year and next, drill programs will be commonplace all over Project 81, informed by the latest technology and funded by partners with a lot of skin in the game and their feet to the fire to produce results. That's a big part of Noble's strategy, to obtain significant equity positions plus warrants in partner companies. The companies Noble is working with are at a favorable spot on the discovery curve. With meaningful equity plus warrant positions in partner companies, Noble even benefits from discoveries on those companies' other projects. Noble Mineral Exploration owns 100% of a giant property that's target-rich, Infrastructure-rich and catalyst-rich. Will it be discovery-rich this year? A lot of exploration is going to occur, almost all funded by earn-in partners, in 2019, 2020 and beyond. Noble is a high-profile discovery play with multiple drill programs coming from multiple partners. That means there are multiple ways to win. Disclosures: The content of this article is for information only. Readers fully understand and agree that nothing contained herein, written by Peter Epstein of Epstein Research [ER], (together, [ER]) about Noble Mineral Exploration, including but not limited to, commentary, opinions, views, assumptions, reported facts, calculations, etc. is not to be considered implicit or explicit investment advice. Nothing contained herein is a recommendation or solicitation to buy or sell any security. [ER] is not responsible under any circumstances for investment actions taken by the reader. [ER] has never been, and is not currently, a registered or licensed financial advisor or broker/dealer, investment advisor, stockbroker, trader, money manager, compliance or legal officer, and does not perform market making activities. [ER] is not directly employed by any company, group, organization, party or person. The shares of Noble Mineral Exploration are highly speculative, not suitable for all investors. Readers understand and agree that investments in small cap stocks can result in a 100% loss of invested funds. It is assumed and agreed upon by readers that they will consult with their own licensed or registered financial advisors before making any investment decisions. At the time this article was posted, Noble Mineral Exploration was an advertiser on [ER]. Readers understand and agree that they must conduct their own due diligence above and beyond reading this article. While the author believes he�s diligent in screening out companies that, for any reasons whatsoever, are unattractive investment opportunities, he cannot guarantee that his efforts will (or have been) successful. [ER] is not responsible for any perceived, or actual, errors including, but not limited to, commentary, opinions, views, assumptions, reported facts & financial calculations, or for the completeness of this article or future content. [ER] is not expected or required to subsequently follow or cover events & news, or write about any particular company or topic. [ER] is not an expert in any company, industry sector or investment topic. [ER] may buy or sell shares in Noble Mineral Exploration and other advertising companies at any time. Want to read more about Cobalt / Lithium / Manganese, Gold and Base Metals? Sign up to receive the FREE Streetwise Reports' newsletter. 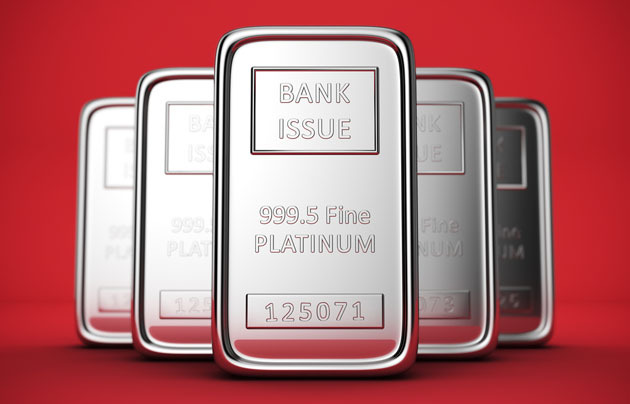 Want to read more about Cobalt / Lithium / Manganese, Gold and Base Metals investment ideas?